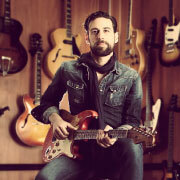 Latest NEWS : Dan Patlansky Voted #1 Album 2014/BluesRock Review/USA. Between European tours with the likes of Everlast in 2013 Dear Silence Thieves has enjoyed a convincing series of rehearsals before the day the LA-based Lurssen Masterering masterpiece hits with a raw ability and exceptionally rare modern-day blues integrity. 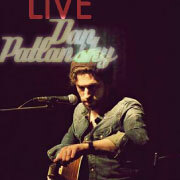 Ever since his debut album, Standing At The Station, followed by his 2004 major label (Blue Note, EMI produced) masterstroke True Blues, Dan Patlansky has been immersing himself in the rich and rollicking world of blues rock music. In February 2005, and again in July 2006, Selwyn Miller the New Orleans based manager of David Gates, Bread, Randy Crawford and Petula Clark (amongst others) took Patlansky to New Orleans to showcase his outstanding talent. 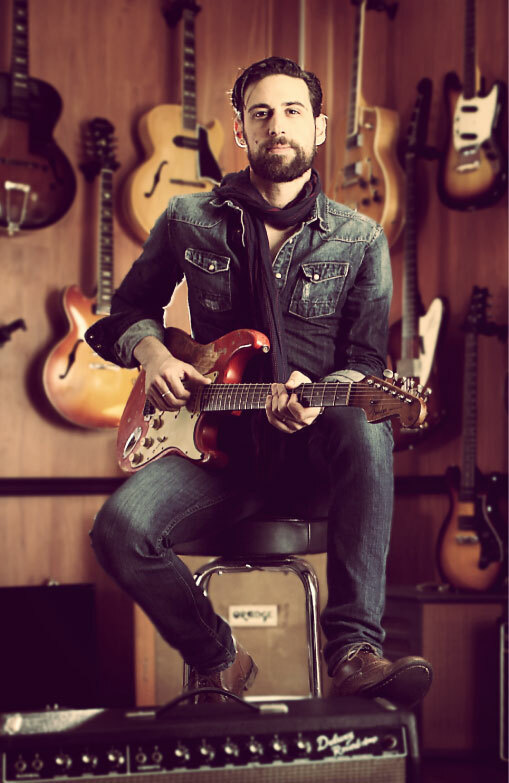 In 2006 Fender acknowledged his talent with a guitar and amp endorsement, making him only one of six on the continent to enjoy such a privilege. 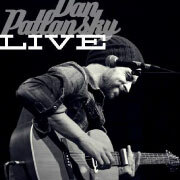 As Dan settled into his groove, what followed was a barrage of brilliantly executed eclectic and acoustic blues albums. 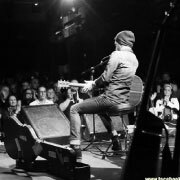 2006 brought with Real, Move My Soul in 2009, 20 Stones in 2012, and the unplugged wonder of last years’ acoustically anchored Wooden Thoughts release. As for coming up with brand new material, all neatly and exclusively penned by the man himself, one through track 10, Patlansky’s confident in Dear Silence Thieves’ popularity potential. “Everything we do, as people, has been done before,” he purports. 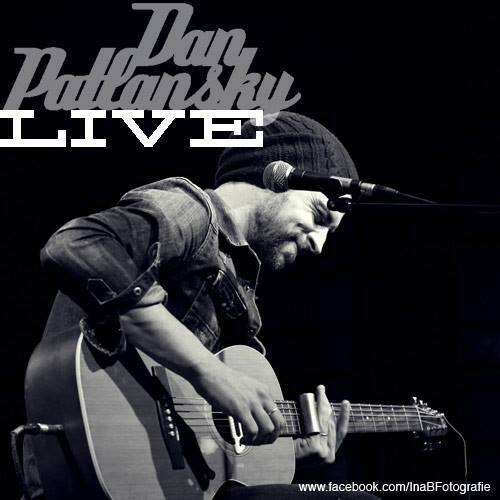 “How we set it up in the stew is what separates the wheat from the chafe.” And as master chef of all things six-stringed and wired for sound, Patlansky’s perpetual nod to the essence of the blues tradition is exemplary. “The older you get, the better you become,” he says with a smile. 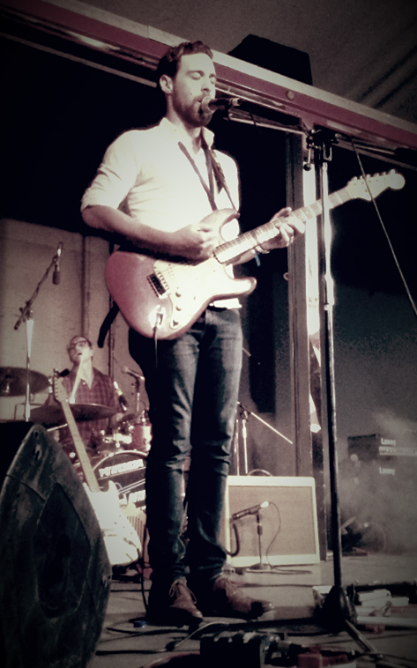 Playing as a three-piece, Dan’s tight trio make for impressive listening and watching live. 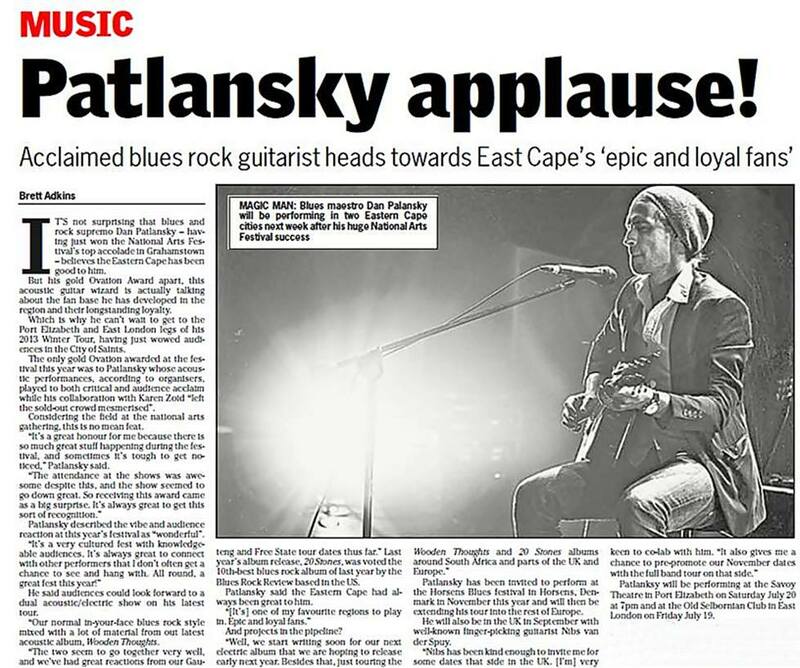 “After a week of fine-tuning the new songs, and a full month in studio, Dear Silence Thieves is the confident and concise statement that will be heard in Europe, across South Africa, and all the way back to the genesis of Patlansky’s passion, the blues. And, as with its maker, Dear Silence Thieves bursts with a bold personality. “I’m the chef and my songs are recipes music fans can most certainly try at home.” The secret ingredients now percolating, the only way to get any closer to the stuff of legend is to catch him live, in concert, where Dear Silence Thieves enjoys a nightly remix. Daddy’s Old Gun, a song off 20 Stones get’s chosen as one of the best singles of 2012 – Rolling Stone SA. 20 Stones gets chosen as the 10th best Blues Rock album release of 2012 by the Blues Rock Review – USA. 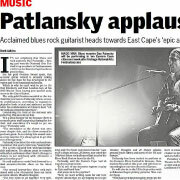 Wins a Golden Standard Bank Ovation award for his solo acoustic show at the Grahamstown National Arts Festival in 2013. The only Gold award for the year. 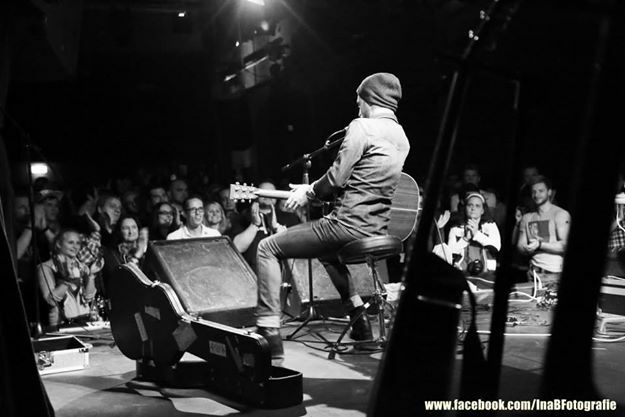 Tours with Everlast in Germany in Oct / Nov 2013. Wooden Thoughts was chosen as the 16th best Blues Rock release of 2013 by the Blues Rock review – USA. 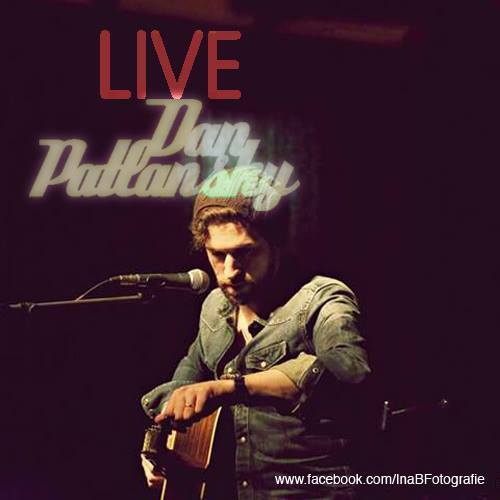 Dan Patlansy get’s nominated as one of the artists to watch in 2014 by the Blues Rock Review – USA. 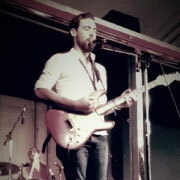 Opens for Bruce Springsteen on his SA tour. Get’s announced as one of the headline acts for the Horsens festival in Nov 2014 – Denmark.